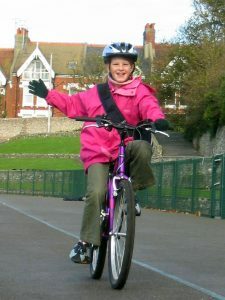 We run professional ‘Bikeability’ road riding courses for adults and children; this is an updated more comprehensive version of the old Cycling Proficiency. We use well paid, experienced staff to offer the highest quality instruction, unlike free or cheaper courses. We improve your performance and safety out on our streets. 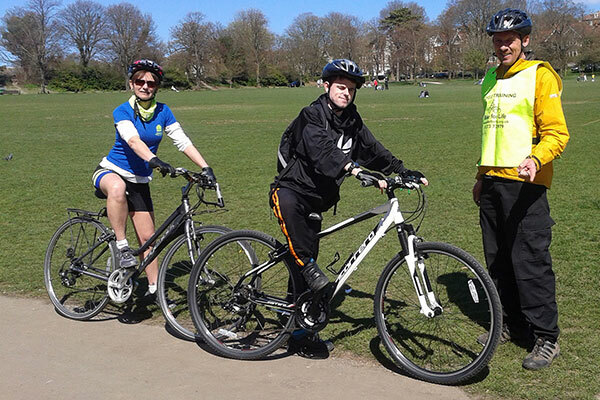 We cover courses for all abilities and welcome beginners, women cyclists and those with disabilities. All three Levels may be undertaken individually, normally take two hours each, and cost £60 per Level or £180 for all three, kids pay £50 and £150. This would suit one individual, or two participants could share the cost. Bigger groups are also possible to arrange with two trainers. We spend two hours in an off road environment giving you useful advice and demonstrations on bike control, gear use, braking and turning. Your own cycle will be fully safety checked and set up for your comfort. 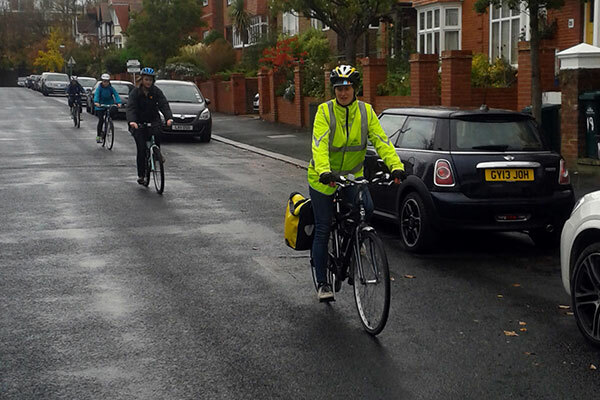 We get out onto carefully selected quiet streets to put your knowledge into practice, taking turns, passing junctions, starting a journey, passing parked vehicles and plenty of useful tips. When we’re confident in your ability, you are then taken out onto busier roads to complete sample journeys in traffic, negotiating all on-road situations and given plenty of handy advice as needed. 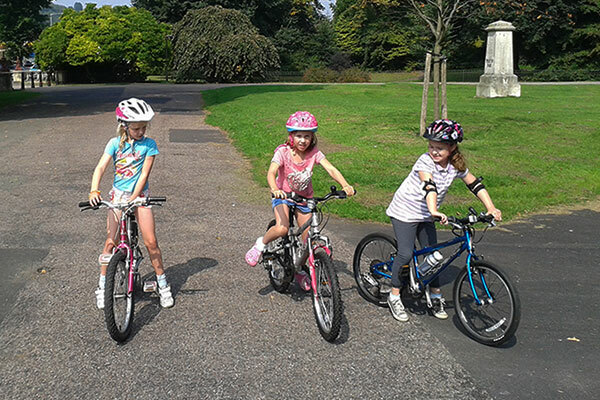 Cycling is a safe activity if proper training is undertaken! Our staff are highly experienced, fully insured and CRB checked. 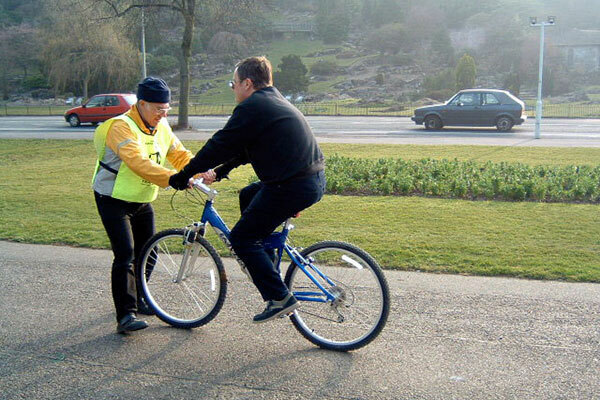 Please click this link – Bikeability – for more details of the training we provide. These take place in Preston Park on two consecutive Saturdays, 11am til 4 pm. 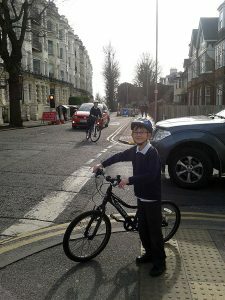 (£50 for kids) for the first day only. 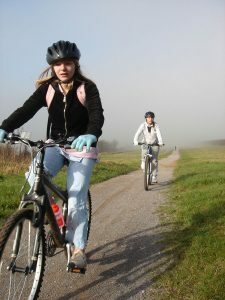 We have trained many beginners to ride a bike using our tried and tested techniques. We meet in a park convenient to you and normally have you riding within one and a half hours. You pay £30 per hour. Bike hire is available at £6 per hour. A package deal is available. 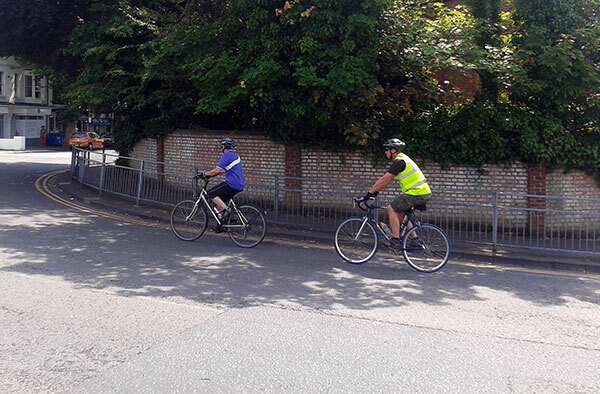 We teach you to ride then accompany you to a local cycle shop to help you choose the right bike for your needs. We can secure you a 10% discount too!